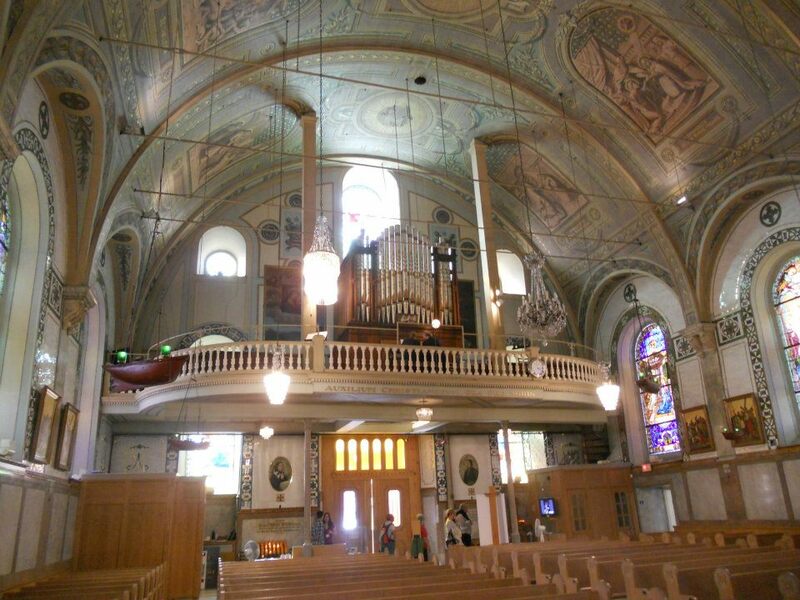 Chapelle Notre-Dame-de-Bon-Secours – One of the oldest churches in Montreal, it was built in 1771 over the ruins of an earlier chapel. 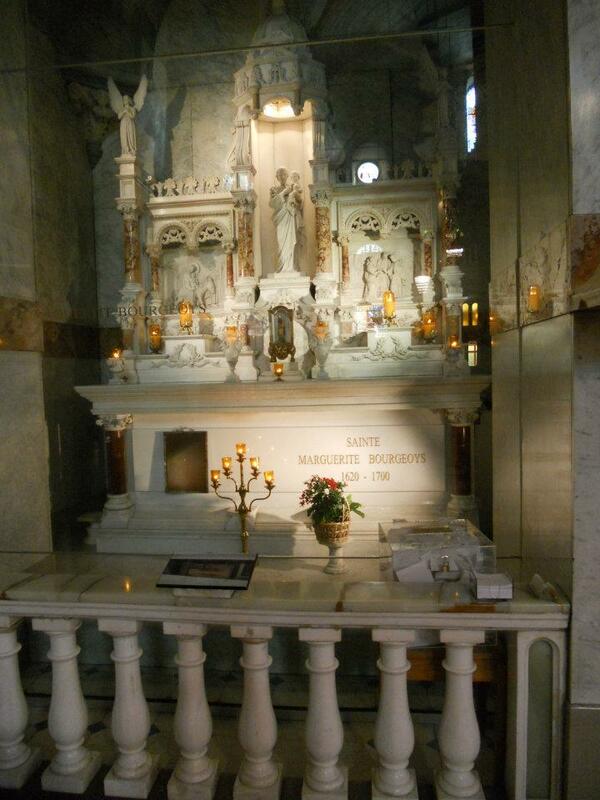 St. Marguerite-Bourgeoys was the first teacher in the colony of Ville-Marie and the founder of the Congregation of Notre Dame. 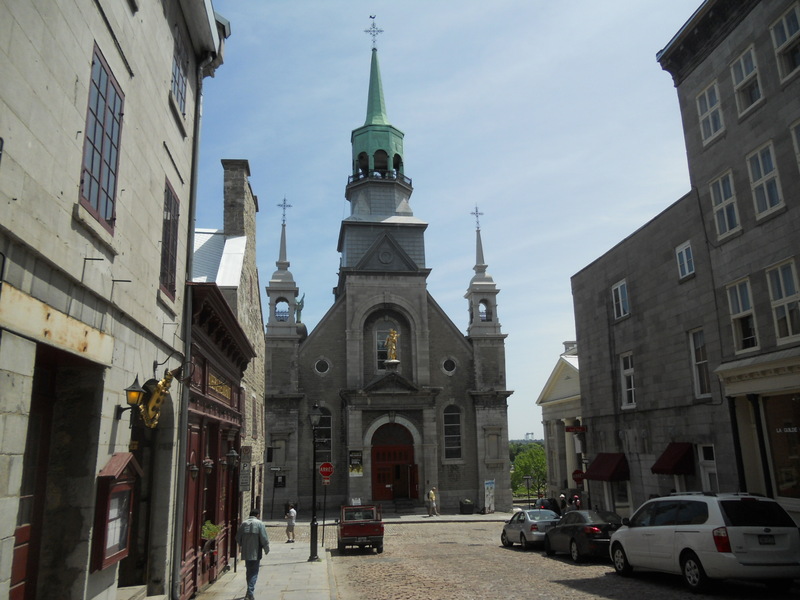 In the 19th century the chapel became a pilgrimage site for sailors arriving in the Old Port of Montreal. 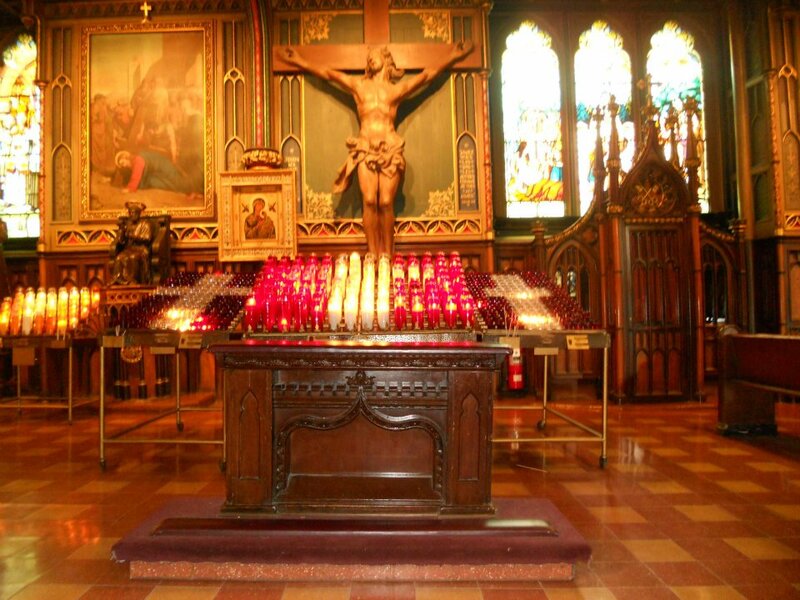 They made offerings to the Virgin in gratitude for her good help and safe sea voyages. 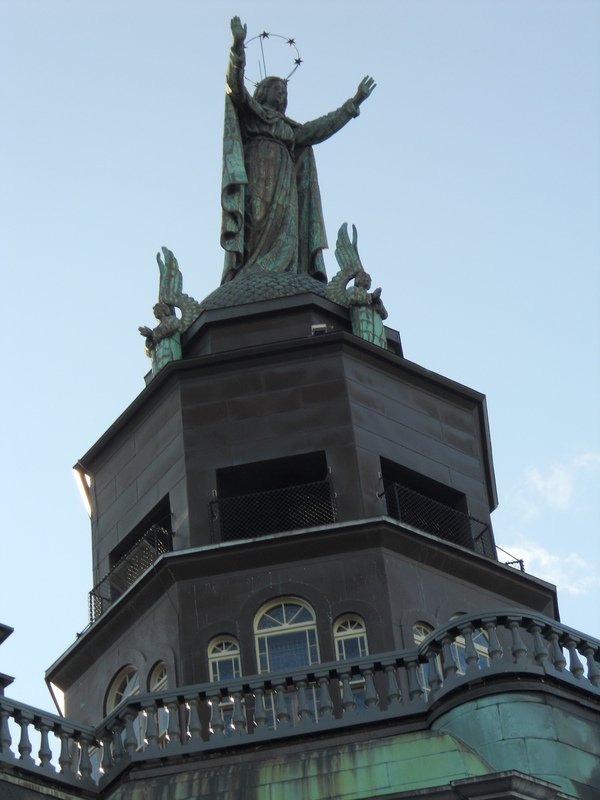 In 1849, the statue of the Virgin as Star of the Sea was placed on top of the church overlooking the harbour. The chapel is often called the Sailors Church. 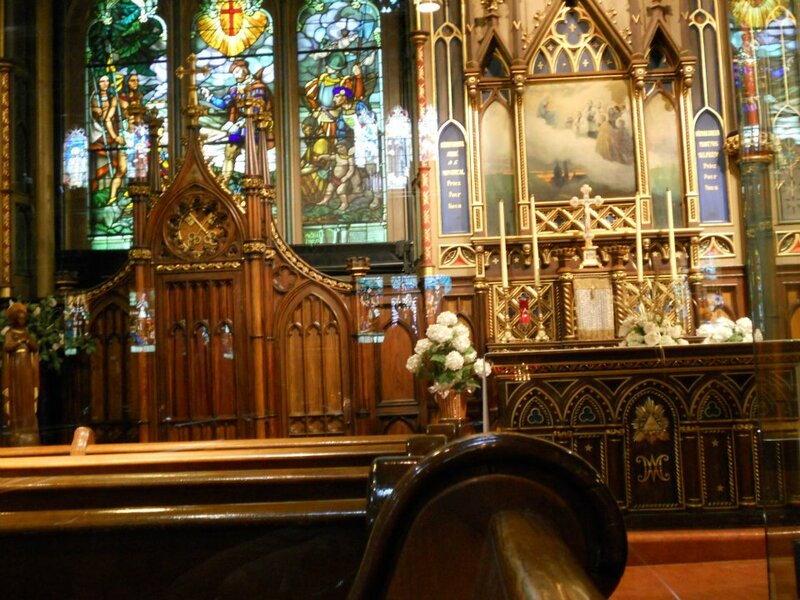 With my love of the sea, is it any wonder that I was drawn to this church? 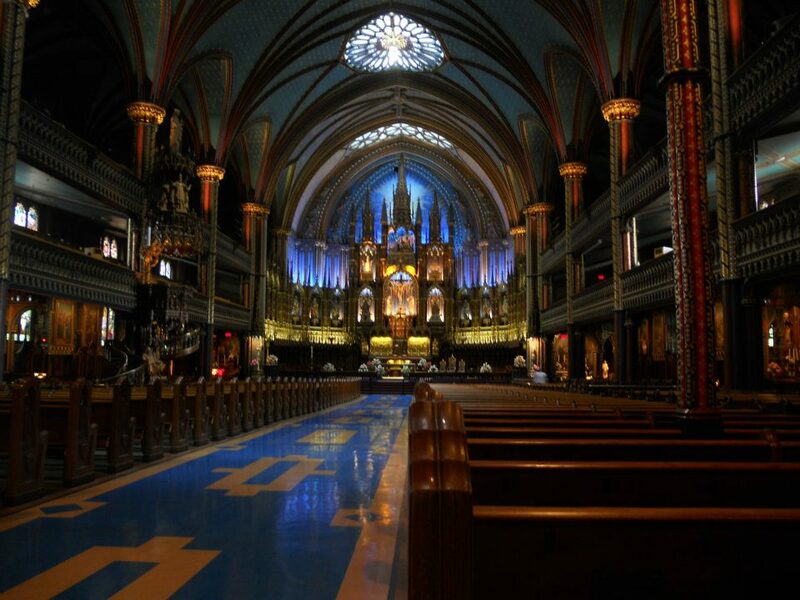 A trip to Old Montreal would not be complete without visiting Notre Dame Basilica. 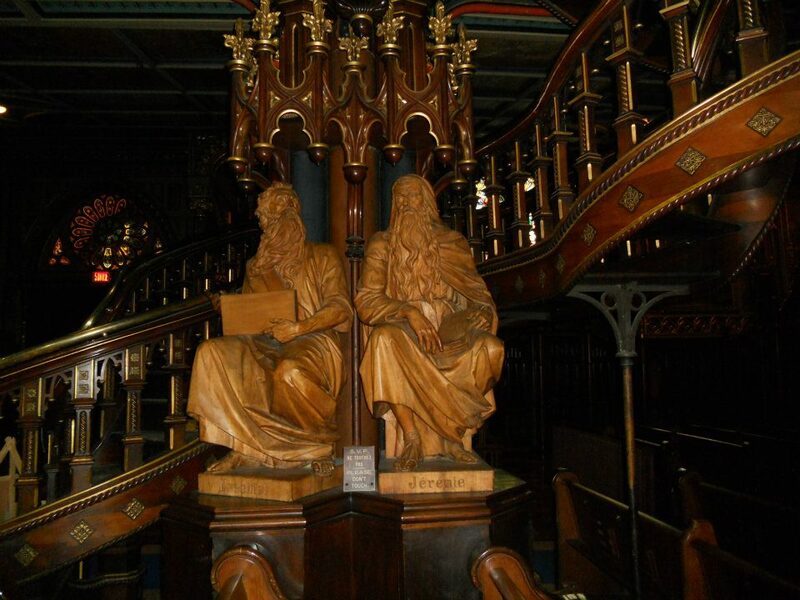 I admit, I was taken aback the first time I walked inside. It is magnificent. 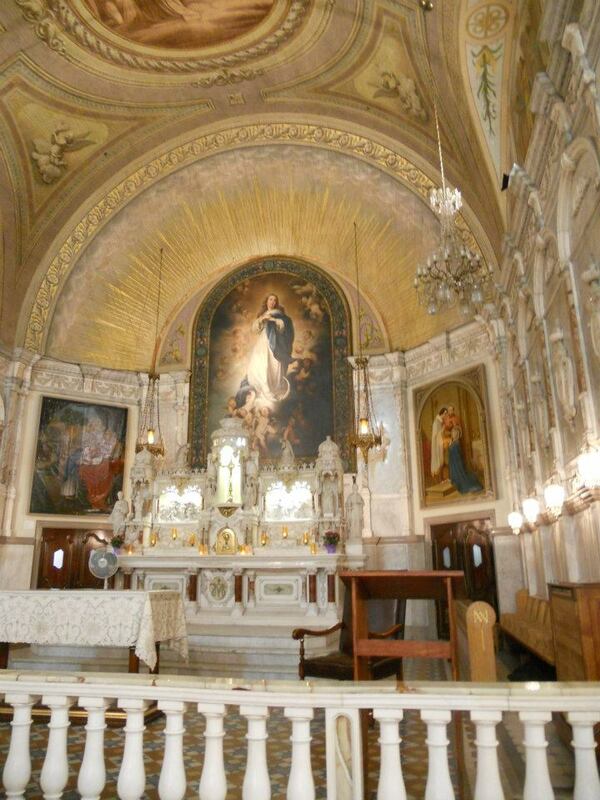 Of course, I had not yet been to the churches of Italy. 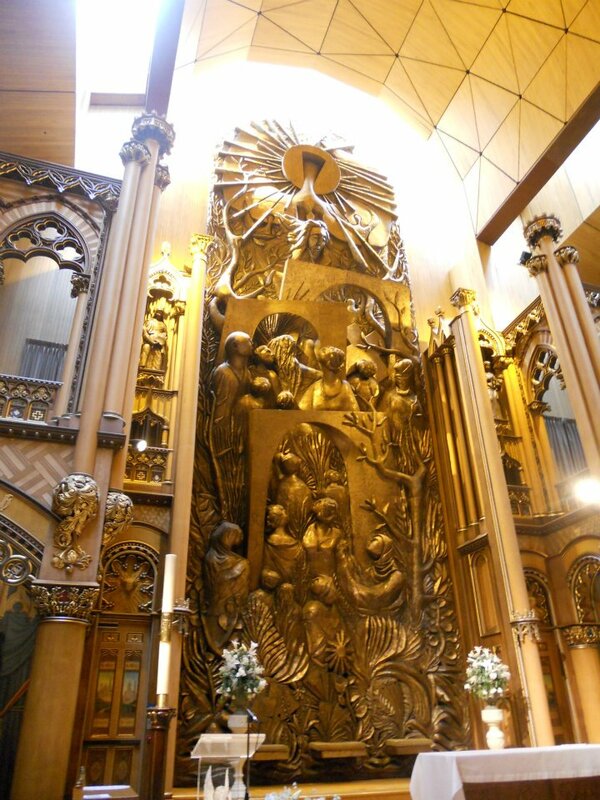 However, there is no denying the grandeur of this church. Flash photography is not allowed making hand held shots in some very low light situations, very difficult. Some shots are not as clear as I’d like. 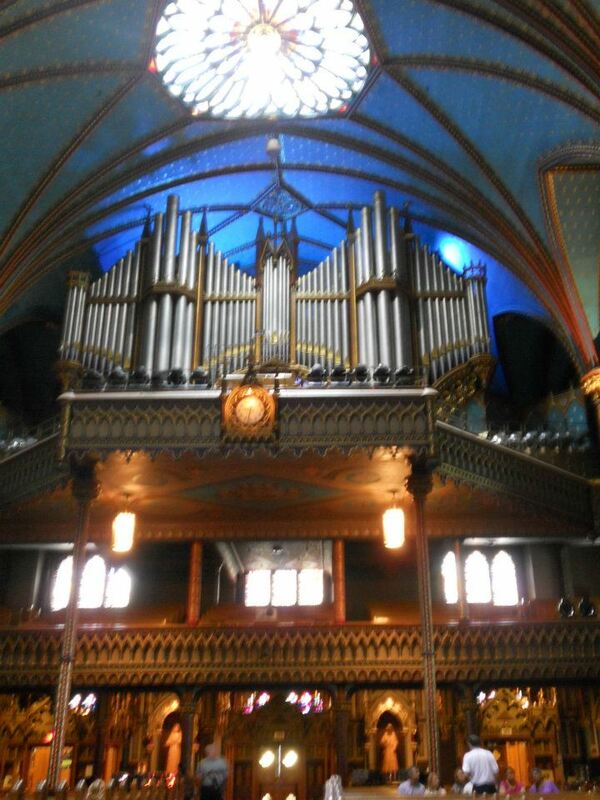 The Organ: 4 keyboards, 99 stops and approximately 7000 pipes! 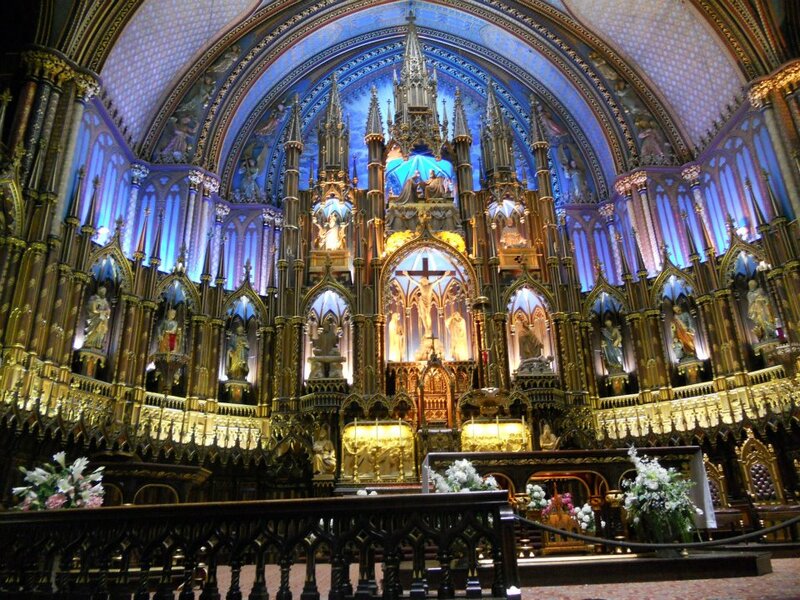 The Chapel of The Blessed Sacrament – is enclosed in a glass room. There were people inside praying, I shot this through the glass.